1. 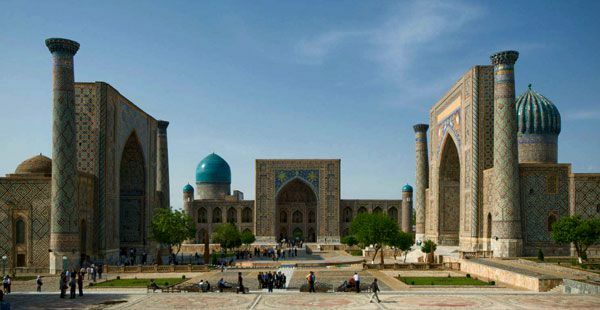 Uzbekistan is one of only two doubly landlocked countries in the world. (The other one is Liechtenstein.) A doubly landlocked country is one that is landlocked by other landlocked countries. 2. Uzbekistan’s Muruntan gold mine is one of the largest open pit gold mines in the world. 3. Tashkent’s metro features chandeliers, marble pillars and ceilings, granite, and engraved metal. It has been called one of the most beautiful train stations in the world. 4. Each of the Tashkent metro’s three stations has its own design and unique theme. 5. In Uzbekistan, handshakes are only acceptable if it is between two men. 6. The way to greet an Uzbek woman is by bowing to her with your right hand placed over your heart. 7. It is Uzbek tradition that the most respected guest be seated farthest from the house’s entrance. 8. 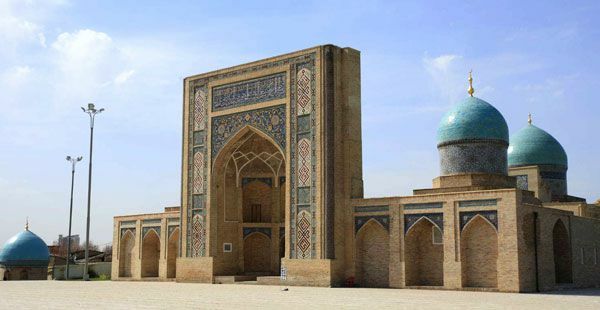 The Uzbeks believe that turning bread upside down will bring you bad fortune. 9. According to an ancient tradition, a member of the family who is set to go on a journey has to take a bite from a small piece of Uzbek bread. The remaining bread is then kept buried or hidden until the traveler comes home. 10. The Uzbek master chef is able to cook in just one caldron enough plov to serve a thousand men.